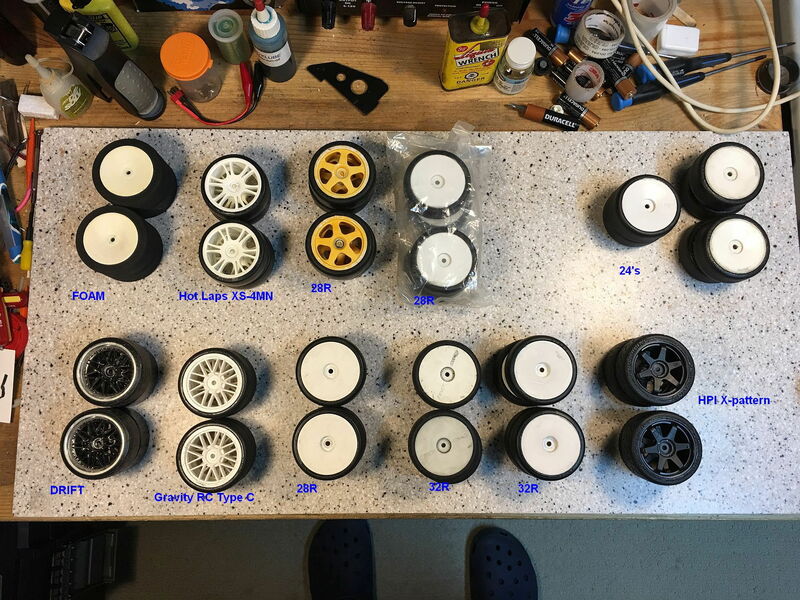 Looking to buy few sets/lot of 1/10 TC glued tires. Slightly used will be no problem. Depending on price, 4 may be 5. Here are lots of my used sedan tires. One set of foams (full size), one set of drift, Gravity RC Type C. Hot Laps XS-4MN, RP24, Sorex 24R, Sorex 28R, Sorex 32R, HPI X-pattern. $60 plus shipping for everything as a package. 1. All the tires in my picture are used. I was unable to find any new tires. 2. All tires have lots of life in them. The Sorex, Hot Laps, Gravity RC and RP tires are slicks and never had tread. 3. I will need your zip code to get a price. I will remove the foam and drift tires but price remains unchanged. I included them as freebies anyway. What a total waste of time. There is no way I can ship all these tires from Canada to the USA for $5. Unbelievable. Marcos.J and johnzhou2476 like this. that's why i don't like to waste time on WTB section. You got El Cheapo like this guy to deal with. What a royal waste of time.. I hear your pain.